OK, so this is written like a research project, but, hey, I’m the FCIL Librarian. Comparative law raises many issues, and this comment is not meant to be a complete exploration of all the possible issues raised in comparing Australian and US laws, but given the common law heritage of the United States and Australia, the different directions being taken by the two countries on this point is striking. This post is inspired by a one from Int-Law. For a more erudite discussion, click here . Evidence – Privilege – Spousal privilege – Witness summonsed pursuant to s 28(1) of Australian Crime Commission Act 2002 (Cth) (“Act”) to give evidence regarding “federally relevant criminal activity” involving her husband – Witness declined to answer examiner’s questions by claiming spousal privilege – Whether spousal privilege exists at common law and, if so, whether spousal privilege extends to non-curial proceedings – If spousal privilege exists at common law, whether Act restricts or abrogates spousal privilege. Words and phrases – “compellability”, “competence”, “spousal privilege”. Here is a link to the decision. The United States, while inheriting the same common law traditions, has taken a different approach. Spousal privilege is codified in the Federal Rules of Evidence, Rule 501 (Privileges in General). rules prescribed by the Supreme Court. But in a civil case, state law governs privilege regarding a claim or defense for which state law supplies the rule of decision. The issue of Husband-Wife Privilege is fleshed out at Subdivision IX, of West’s United States Code Annotated (2001). It provides extensive explanations of issues such as which matters are privileged (notes 446-454), confidentiality of communications (notes 431-435), and exceptions to privilege (notes 455-460). (One may also want to look at the definitions in Black’s Law Dictionary and Ballentine’s Law Dictionary). Below is the summary, extracted from the judgment. Not only is the reasoning interesting, but I was struck by paragraph 232, which quotes U.S. Supreme Court Justice Oliver Wendell Holmes. I wonder how many U.S. Supreme Court decisions would quote an Australian judge? 231. Opinions may differ as to the interpretation of statements in older texts and cases. Such statements as there are, which suggest that one spouse might not be obliged to give evidence or answer questions which may tend to incriminate the other, do not provide a sufficient foundation for a conclusion that a spousal privilege of the kind claimed existed. Statements in All Saints were addressed to the question of compellability and later cases show that they have been so understood. Those observations are consistent with a view that the court retains the power to determine the question of the wife’s compellability. Even so, the question of her compellability was not finally determined in that case. Its lack of resolution until much later, in England, does not suggest that the topic of a substantive witness privilege was likely to have been addressed. The later application of some of the old common law views towards marriage, which informed the rule of competency, and about which it is not necessary to proffer a view on this appeal, with respect to the compellability of a spouse in criminal proceedings, does not point to the existence of a privilege. It merely states an assumption that those views meant that a privilege arose. It has not been shown that that question has been addressed by the common law courts. No such developments are evident in the cases and materials to which reference has been made in this case. They suggest, at most, that a spouse might seek a ruling from the court that he or she not be compelled to give evidence which might incriminate the other spouse. The Australian case was decided in a criminal context, on the issues of “compellability” and “competency” and, it concerns a single Act. The decision does not mean that spousal privilege may not be claimed under a different set of facts. The implications and application of the decision are broad for Australians, and it raises several questions and issues. Marriage is a key value in society. Does this decision weaken the institution? The punishment of crime is also a key value to any society. Is upholding the punishment of criminals a more important value (civil law is a different subject)? In many marriage vows there is the concept of ‘two’ becoming ‘one.’ Is the sanctity of marriage vows being undermined? Is the prosecution of criminals more important than the sanctity of marriage? 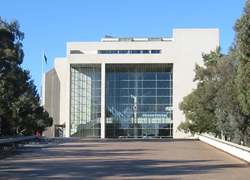 What impact might this decision have on Australian society’s view of the High Court? The judgment makes for very interesting reading, covering significant historical cases, and the application of common law. The discussion of the history of privilege is quite fun. Here is a link to an Australian article discussing the decision which discusses the other privileges which may be under assault in Australia, such as the priest-penitent privilege. Quoting an Australian law professor, the article notes that the attorney-client privilege is under the least threat. Whew!